Like a lot of marketers, you keep an eye on your analytics and user flows. And, you’ve probably spotted some inefficiencies in your site. 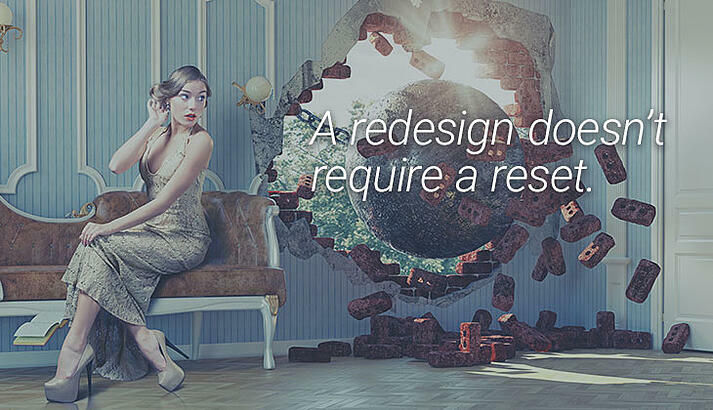 So you might be itching to start a redesign project or you might even be in the middle of an overhaul. Let's do it right. We’ve all been there: we launch a redesigned website, then suffer through weeks (if not months) of tanked rankings while the search engines try to figure everything out. Page URLs get changed and forwarded while content gets shuffled around and rewritten. The result seems to be a lull in every expected metric. But it doesn’t have to be that way. For example, we launched a new site for KAYAK on Christmas Eve, 2015 and forced all connections to it through HTTPS. We axed two dozen pages, reduced our on-page copy, and simplified almost every aspect of the site. Yet we didn’t notice a slip or a blip in any of our metrics. Were we just lucky? Nope. We were prepared. Typically, site redesigns and relaunches are singular events. New pages get launched. Old pages get removed. Redirects are put in place. And all this happens in a single day. Seems efficient. But it can be quite a shock to search engines. How many people would recognize you if you lost 40 pounds in a single day, got a haircut and a face transplant? Not many. After launching your new site, update your XML sitemap and submit it to Google’s Search Console for a re-crawl. Google will automatically crawl your site again without this being done, but a manual submission will speed up the process. You should also submit high-value pages — especially those that you changed — such as your About page or your Products or Services page. Run a broken link checker on your website to catch any problematic links. But know that there’s no automated tool that will catch as much as a human can. So test everything yourself. And then test it again. There are so many things to be aware of when relaunching or migrating a website (to another domain or even HTTPS). The next post in this series will address how you can smoothly enable HTTPS on your website. Be sure to subscribe to the KAYAK blog to be notified when we publish that post.